You'd never think it could happen to you. You'd never think that one day you'd stand in a graveyard, rain tapping on a sea of black umbrellas, watching your parents being lowered into the earth, never to come back. They said it was an accident. Only I know the truth. I have to be honest and say I was just a tiny bit worried about reading this book. I loved Daniela's first book 'Watch Over Me'; it is one of my favourite reads from this year. However Watch Over Me was an adult book with a paranormal strain to it. I knew Dreams was going to be completely different. So I panicked a little and dare I say it, put off reading it until I began to see the excellent reviews appearing all over the blogosphere. 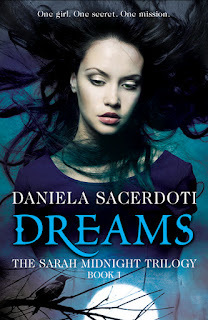 Now I just want to slap myself for my stupidity, because as far as I'm now concerned, after reading this author's second book, I am convinced Daniela can write ANYTHING! I really loved it. I found the writing to be beautiful, flowing gently off the page. The imagery made the story jump out like a child's 3D pop up book. The story has multiple layers to it, which you find yourself weaving through the story to find the links. I loved how it was fantasy in the American YA book sense, yet had a strong UK vibe to it. I hope that makes sense, because I really can't think of another way to describe it. It had the American wow factor, in British packaging, showing that we can do excellent YA fantasy in the UK too. The characters instantly came alive in the story, similar to Watch Over Me, I actually felt like I knew them. They all had their own quirks and secrets, desperate to keep them hidden from the outside world. Sean was my favourite out of them all. He really stood out for me. I loved the way he was so possessive over Sarah; how all he wanted to do was protect her from anything bad. She just consumed his every waking thought. Poor, poor Sarah; this girl really needs to be able to trust at least one person, who won't jump in and ruin her life. No wonder she suffers with OCD; I think that she has come out with a mild reaction to the life she has led. The only thing that stopped me giving this book a five star instead of a four and half rating I gave it, was the multiple first and third viewpoints. It took me a while to realise who every one was. It doesn't take much to distract me, so I did get slightly lost to begin with . Once I got the hang of it, I honestly couldn't put it down. On reflection, I did think that some of the first person passages were so exquisitely written and almost poetic in nature. The story had excellent pacing and finished with a dramatic ending, leaving questions unanswered, ready for the next book. I really am in awe of Daniela's talent as a writer. I can confidently say that I know I am going to get a good story when I read one of her books. I always feel comfortable with the way she writes. She is definitely a rising star I intend to follow. I love her! I want to gobble up everything she writes. I want to write just like her. Buy it! You won't be disappointed. I haven't heard much about this one, but it sounds great! I love that it has a strong UK vibe to it :). Great review! 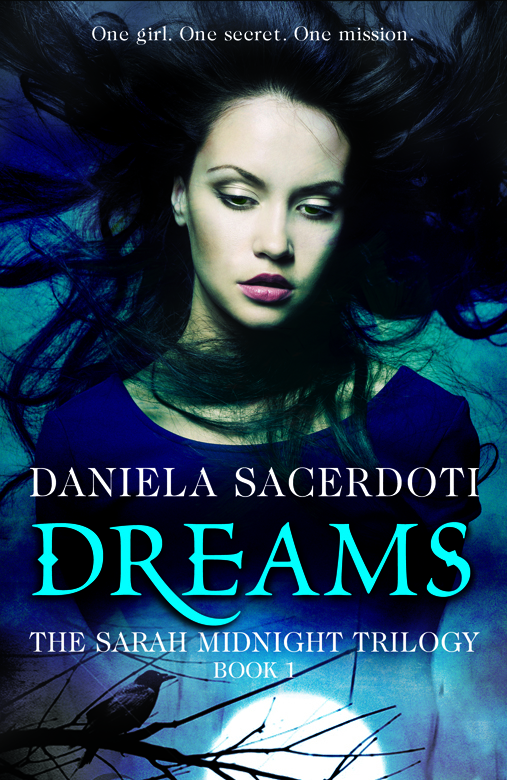 brilliant review Viv, I actually really liked the interchanging view points, thought they really added something to the book, but yeah, the book is amazing and cant wait for more from Daniela, may even have to read her adult book!